One of the wine guys in Majestic (most of them are pretty knowledgeable in a wonderfully geeky kind of way), recommended this, when I enquired about big Chardonnays. Surely you are just recommending your latest offer? Admittedly buying two bottles to save £12 is a good deal, but it sounds like you are trying to get rid of it. “No I tried some at home last weekend – really fruity, big and scrumptious”. He meant in a new world style, rather than a classic Burgundy. I’m not sure. The heaviest thing about this wine, apart from the slightly excessive 14% ABV, is the bottle. I know I paid its air freight from Argentina, but delicate petals adorn the inside. It tastes pretty classy. Quite peachy with vanilla and elderflower. The only new world giveaway is a nod towards one of those banana shaped foam sweets from the Pick n Mix. 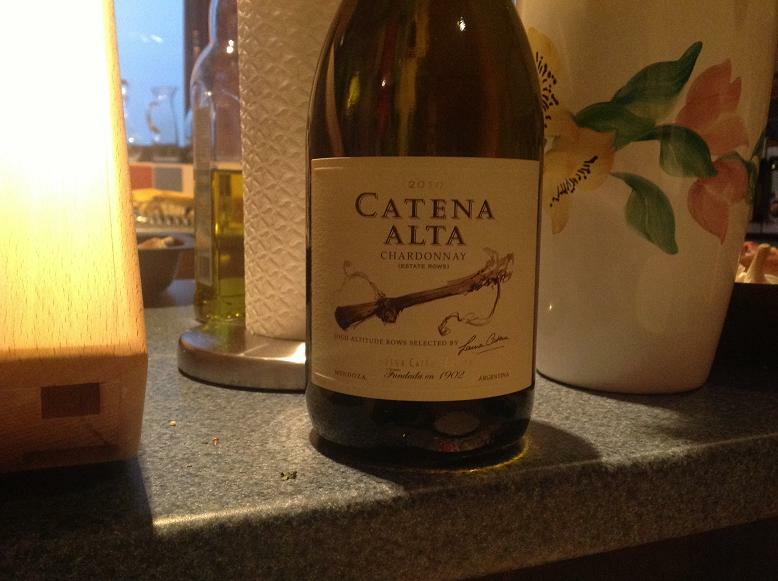 Regular readers know that I am a big fan of Catena Zapata wines. This one is not cheap at £23, but with a double bottle discount reducing the price to £17, it is well worth a try. Drank mine with a simple pork chop cooked on the skillet at about 12 degrees (the wine not the chop). This entry was posted on Monday, February 4th, 2013 at 10:06 pm	and is filed under south america. You can follow any responses to this entry through the RSS 2.0 feed. You can leave a response, or trackback from your own site.